Oliver's journey into woodworking began while he was in secondary school, after an 'old-school' teacher spotted his enthusiasm for woodworking. He helped guide Oliver along the right path and encouraged him to pursue his talent at Moulton College. It was here he completed a three-year City and Guilds course in cabinetmaking. A lot of students decide to bow out of education at this point but Oliver, it seems, was just getting into his stride. He went on to do a further three years at Buckinghamshire New University, culminating in a BA Hons degree in the same subject. 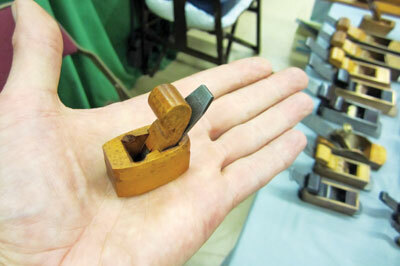 Although focussing on cabinetmaking in his education, in college he also made a few hand planes, but it wasn't until he reached university that his toolmaking really took off. 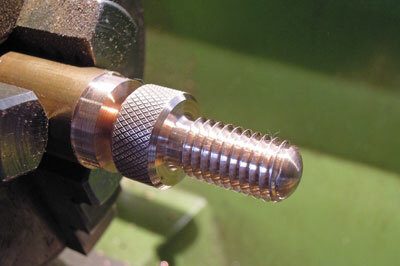 Having access to a full metalwork shop and knowledgable mentors, really opened his eyes to the possibilities. He told us: "Hand work has always been a love of mine." 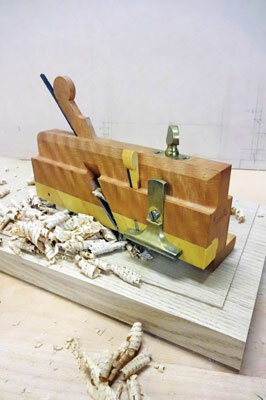 Oliver says he is addicted to the quiet, focused ways hand tools force you to adopt. Working this way gives him a deep understanding of what makes a tool sing, so inevitably, it wasn't long before he started to build more of his own tools, simple at first but gradually building up to examples of outstanding beauty and craftsmanship. The tools Oliver makes are of high quality, aimed at both collectors and users in the tradition of such makers as Norris, Spiers and Matthieson. 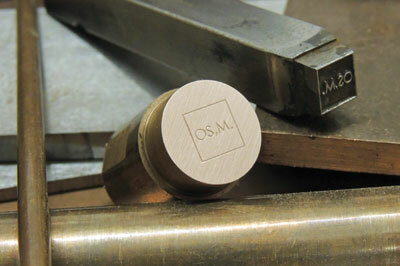 Since graduating from university, Oliver has developed his own brand: Oliver Sparks, Maker - abbreviated to OS, M.
As a toolmaker, Oliver told us that he leans towards a contemporary style but with traditional methods of working. 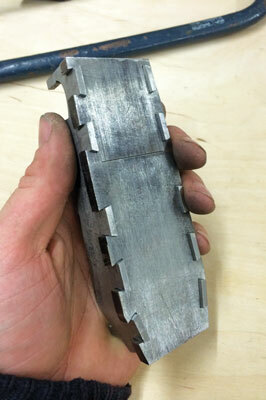 In this respect, he admits to being mostly self-taught when it comes to combining metal with wood. It was a long time before he felt ready to "go public" with his efforts, but the response was overwhelmingly positive, as he explains: "I got pretty lucky and secured some nice commissions from my first show and haven't looked back." When we met up with Oliver at a recent David Stanley antique tool auction he was meeting up with friend and customer Bill Carter. A plane maker such as Bill with a worldwide reputation is a great customer to have and their association will no doubt create interest among collectors around the world. Describing how he works, Oliver comments: "I take great pains to source the absolute best I can find - timber, metals, equipment, methods - and find harmony between them." He told us that he realised very early on that his heart lay with high-end pieces, where quality is of vital importance. 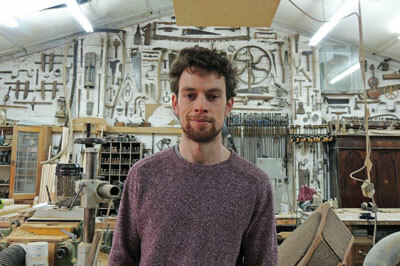 Still building his company, Oliver resists the temptation to work on pieces that don't meet his exacting standards. Already this is what his clients expect of his work, but most importantly, it's exactly the type of work that makes him happy. "Longevity of a piece is also very important," Oliver continues. "To me, quality and longevity work hand-in-hand. All my life I've been taught to 'buy quality and buy once'. It's a good ethos to live by and a pleasure to extend it to others through my work." Perceptive of Oliver's work, one of his clients has described what this maker does as 'fusion', a blending of the traditional with the contemporary, which we think is a pretty fair description. Oliver evaluates his work and the inspirations behind it, telling us: "In Victorian times, Britain was at the pinnacle of toolmaking. The planes in particular produced in that era were 'sublime' and I try to emulate the honest quality of workmanship in my tools." 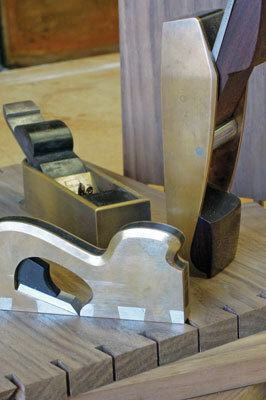 As he continues to explain: "The last 20 years have seen a huge revival of hand-tool woodworking. With the rise of the internet, knowledge and inspiration has never been more accessible." While at university, Oliver spent thousands of hours researching; naturally, he got pretty familiar with the work of Konrad Sauer, Bill Carter, Wayne Anderson, Karl Holtey, etc. It fascinates Oliver that by hand and eye, craftsmen can marry materials to create such beautiful objects that function so well. He says: "I also read a lot of blogs, despite being so awful at keeping one, by home woodworkers. They often have more time to explore remarkable methods that are, sadly, commercially not viable." Oliver will often spend months working an idea over in his head, examining the prospect from every side before even putting pen to paper. But once that pen starts, he tells us that it is a quick leap from there to the workshop. When in the process of making something, Oliver much prefers the 'old-school' and traditional methods, as he explains: "All of the planes pictured in this article were made the old-fashioned way. 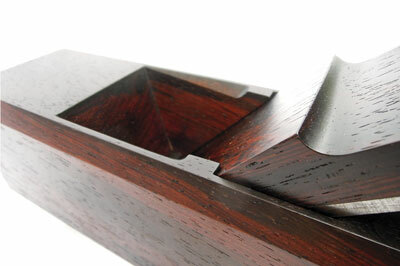 The dovetails on my infill planes are a good example: all hand cut with a hacksaw and individually filed to fit, or my moving fillister, where the dovetailed boxing was hand cut using purpose built master-planes. Makers have been working this way for over 200 years and we need to carry this forward lest it be forgotten." With the exception of heat treating, everything Oliver makes is done 'in house'. This way, he has control over every aspect of the build and, therefore, the quality of the finished product. It also has the benefit of helping to widen his skill set; a practice that would not be lost on the great planemakers of the past. Recently, Oliver has started mechanising some processes to eliminate some of the grunt work. He's just invested in a milling machine, for example. He tells us: "Dimensioning metals entirely by hand gets boring really fast and it gives you more time to play with the detailing. It's also important to not be limited by what your machines can do." In terms of discussing commissions, Oliver told us: "As anyone in the bespoke game knows, commissions can be difficult as each one is essentially a prototype, but I wouldn't change that for the world." He also tells us that he loves finding obscure forgotten tool designs and bringing them back to life, with an OS, M. slant, of course. A few parameters are standard for every tool: it must be comfortable to use, function perfectly, be the finest quality achievable and be beautiful. 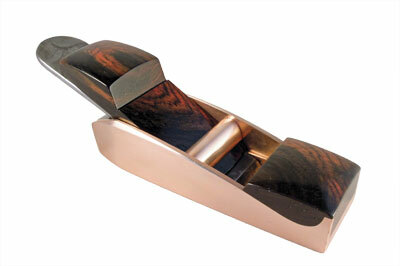 Proportions play a big part in this, both visually and ergonomically, with the exception of sourcing old exotic timber, this is the most challenging aspect of toolmaking. Oliver looks to his favourite tool, which would be his first ever infill mitre. 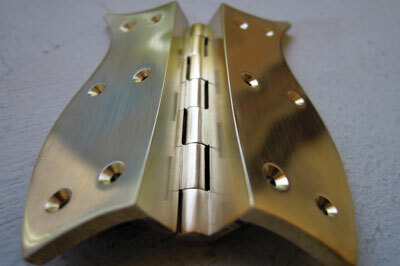 He mentions that it's a flawed design, with the sole being brass and much too thin, but he loves it all the same. This was the object that made him realise he could really make a go of planemaking. As well as his current work, we were also interested to learn about some of Oliver's previous cabinetry work. 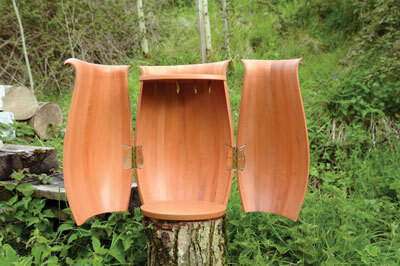 He starts by telling us about 'Embrace', a necklace display cabinet in Swiss steamed pear (Pyrus communis). "This cabinet was the culmination of my university degree. From a design standpoint, it was inspired by the concept of a loving embrace, brought to life with organic lines. It's designed to hold a lady's necklace collection, to envelop them with something equally beautiful. Each necklace is moveable to any position the client desires via hidden steel strips along the top, corresponding with magnets imbedded within each hook." Oliver explains that what makes this cabinet special from a maker's point of view is the coopered construction: the cabinet's section is ovular, meaning each 'stave' has a different taper to its neighbour and must be hand planed faultlessly. 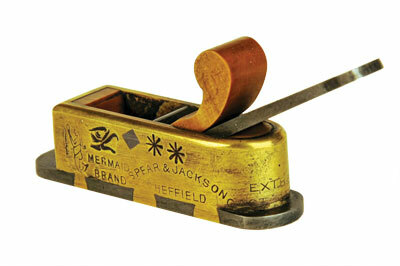 After assembly, he hand carved every contour and detail using gouges, scrapers and purpose-built planes. Hardware was always going to be a problem on something this unique, so Oliver made the hinges too - problem solved! Going back to commissions Oliver has made on the furniture-making theme, he tells us about being given the opportunity to make a piece for blue chip client, KRUG Champagne. "When dealing with blue chip clients, quality is paramount. 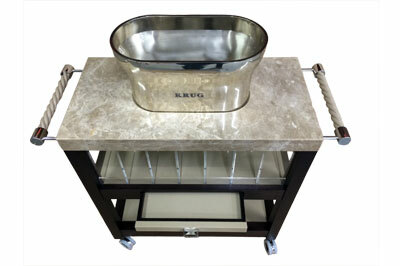 Planemaking is my moonlight fix, but my regular job is cabinetmaking for Noble Russell, where I made this KRUG champagne trolley from drawing to delivery," he comments. Designed to fit within an existing theme, the stained walnut (Juglans spp.) frame, fine leather, marble top and bespoke hardware all give a taste of luxury. This piece is intended for use alongside a diner's table; bottles are chilled up top and served from one of the 14 flutes held in acrylic alcoves below. Oliver tells us that he enjoyed the moulded leatherwork most on this job as it gave him a chance to expand his skill set. At the moment, Oliver is working on a large skewed infill shoulder plane, in bronze and boxwood (Buxus sempervirens) for a client in Australia. "Shoulder planes are particularly tricky," he explains. "Minus the shapely top, every surface needs to be dead flat, square and parallel so it's an exercise in care. Lovely!" 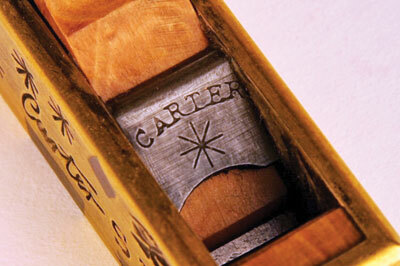 Bill Carter is arguably the first of the 'new breed' of infill plane makers and in many ways - as a fellow cabinetmaker aptly put it - the 'godfather' of modern infill makers. Best known for recycling old brass-backed saws into plane bodies, in the last 32 years Bill has made over 1,000 planes using little or no power tools. A staggering achievement! I first came across his work at college and became instantly hooked. You could say he is the reason I got into planemaking in the first place and certainly provided stepping stones through the articles on his website. 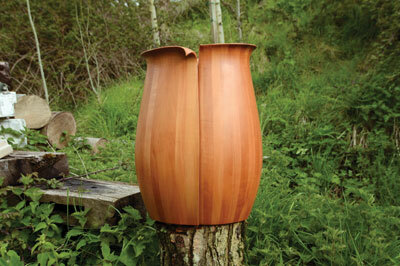 His work manages to capture the essence of what it means to be handmade, which is a difficult and indefinable thing. The best thing about Bill, though, is he's a true gentleman. His knowledge is vast yet he doesn't hoard - quite the contrary in fact. He goes out of his way to share for the sake of others, even putting clients my way - something I consider a great honour. In the niche within a niche that is handmade toolmaking, you will struggle to find another craftsman who has given so much inspiration to others, or indeed find one who hasn't been influenced by Bill's work - it's humbling.